MANILA, Philippines - After languishing from a series of howling winds and surging waters, thousands of families who flee from their houses to escape the wrath brought by super typhoon Lando (Koppu) since it made its landfall last Sunday, October 18 in Casiguran, Aurora are now starting to pick up the remnants of what was left to them. The torrential rains and extreme winds of 200km/hr (124mph) brought massive flooding in farmlands, residential and urban areas of the said provinces which incurred a great agricultural damage amounting to an approximate PHP7 billion according to the regional field offices of the Department of Agriculture. Further, the agency reported that a total of 277,060 hectares of agricultural lands have been damaged although almost all of the affected areas has the capacity to recover on the first quarter of next year. DA also ensured the public that there is a sufficient supply of rice available in the country despite the big loss from Lando's devastating effect. The National Disaster Risk Reduction and Management Council on the other hand estimates that Lando left the country with a PHP902 million worth of infrastructure damage. Classes were suspended including in NCR. Communication and transportation lines in some areas in northern and central Luzon still remain unreachable as of the moment. As of October 21, there were 58 people who reportedly died during the intensive reign of Lando in the Philippine soil, around 87 are injured and 9 people are still missing. The National Disaster Risk Reduction and Management Council (NDRRMC) however has a lower estimate of 35 casualties as they are still in the process of verifying the deaths of the other reported death cases. 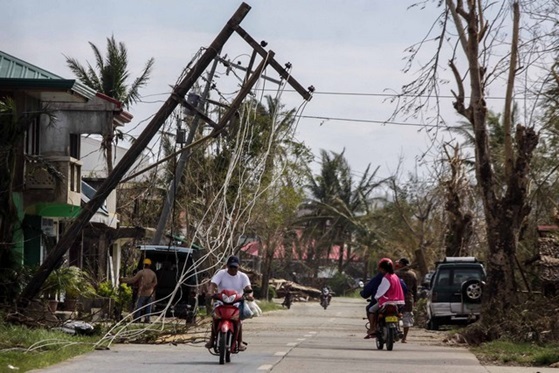 Bordering in a cusp as a Category 4 or 5 type of storm, the slow-moving Lando wiped out everything that it passed over the past four days in the Philippine Area of Responsibility (PAR). It affected the provinces of Isabela, Aurora, Nueva Ecija, Quirino, Nueva Vizcaya, Pangasinan, Ifugao which comprises the league of the country's main rice producers. The Japan Meteorological Agency (JMA) regarded Lando as a "very strong typhoon" on its storm category list, making it a notch lower to the maximum level. It hit the towns of Baler and Casiguran in Aurora very badly while the city of Cabanatuan in the province of Nueva Ecija sustained exceptional flooding during the storm which its residents are claiming they haven't experience for a very long time. Manila was not even spared by Lando as the country’s capital was put into a signal number 2 status during Lando’s landfall last Sunday. With one-tenth of the population of the country affected, the government has been working to reach the affected areas to provide relief goods and assistance. To date, the National Food Authority (NFA) already released around 25,000 bags of rice to the LGUs of the affected areas. 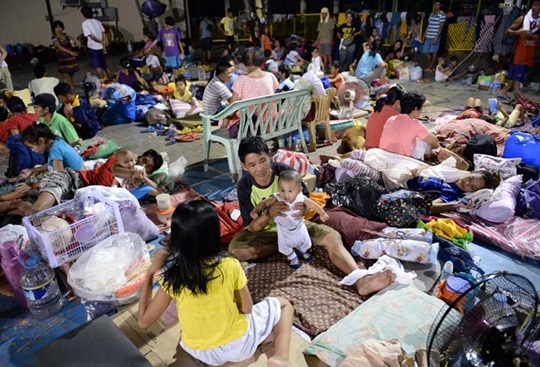 The Department of Social Welfare and Development (DSWD) has already prepared even before Lando struck Luzon since late last week together with the Department of Public Works and Highways (DPWH) to ensure a smooth delivery of relief assistance. Meanwhile, the international community has already begun to offer assistance to the victims of the calamity. Australian Minister for Foreign Affairs, Julie Bishop said that the Australian government is ready to provide PHP33 million worth of relief kits through its partner organizations like the UN Population Fund, World Food Program and the Philippine Red Cross to rebuild the lives of the affected communities in the typhoon-hit areas. Although Lando now weakens into a depression, storm signal number one is still on to the provinces of Ilocos, Cagayan, Apayao and Batanes. 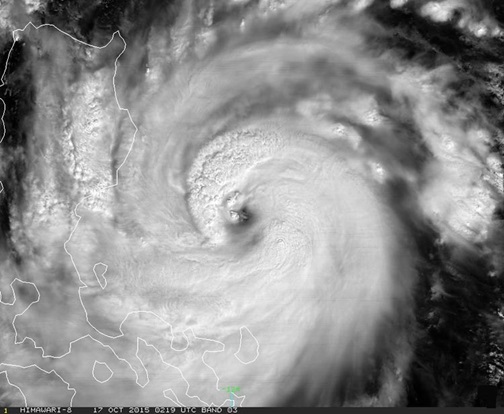 PAGASA expects Lando to completely leave the PAR on Monday, October 26 after passing in Itbayat, Batanes.